Due to the breadth of our knowledge of finance, economics, accounting and general business principles, MSG is often retained to provide advisory services to clients on key business decisions. Our work has encompassed such issues as business development, marketing, accounting, corporate control and takeovers, and shareholder wealth maximization. We have assisted start-up clients in developing business plans and helped guide them through the venture capital process, as well as provided advice to clients engaged in restructurings, reorganizations, mergers, acquisitions, and divestitures. A diversified health care company granted stock options to several executives prior to the company’s initial public offering (IPO). MSG was retained to value the company’s stock at the time the options were granted. The valuation was performed to determine whether additional compensation should be recorded and disclosed in the IPO’s prospectus. A wealth management company entered into negotiations to sell one of its subsidiaries to that subsidiary’s management team. After extensive negotiations, the parties were unable to bridge the gap between their views regarding the value of the business. MSG was engaged by both the buyer and seller to provide an objective, third-party valuation of the firm for use in the ongoing negotiations. A designer and manufacturer of computer equipment sought to enhance the effectiveness of its value added resellers (VARs). The computer company retained MSG to visit VARs around the world, analyze the marketing strategies employed by the company’s VARs, and to recommend changes to those strategies. A United Kingdom manufacturer of electronic instruments and controls sought to monetize its minority interest investment in a privately-held U.S. technology company. MSG was retained by the U.K. manufacturer to assist it in exploring different avenues for achieving its stated objective. Among the alternatives pursued was an IPO for the minority interest. MSG assisted an entrepreneurial biotech team in the early stage of organizational expansion. We analyzed the firm’s market opportunities and developed a business plan. We also reviewed the plan’s assumptions and made certain recommendations based on our analysis and experience. A manufacturer of private aircraft filed for bankruptcy protection. As part of the reorganization, a trust was established to provide compensation to any future claimants of aircraft crashes. MSG was retained on behalf of the trust to determine the appropriate amount to be set aside for satisfying future claimants. We developed an analytical framework, including financial projections, which incorporated a variety of different business scenarios. 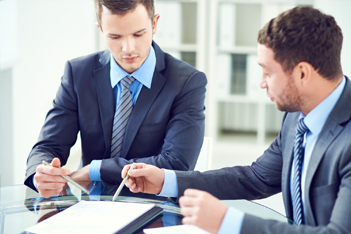 The scenario analysis aided our client during restructuring negotiations with the trustee. A provider of computer systems analysis and integration services sought to refocus its strategy and operations. MSG was retained to assist the company in the evaluation of its various projects and to ultimately determine the value of the project that was sold. A large telecommunications company sought to improve its stock performance. Senior management engaged MSG to provide advice on strategic corporate financial issues and to evaluate various options for maximizing shareholder wealth. An Israeli real estate investment and management company held an interest in a Dutch closed-end real estate investment trust (REIT) through a foreign subsidiary. MSG was engaged by the company to value its interest in the investment fund for financial reporting purposes. The chairman of a large publicly-traded convenience store chain sought to maintain control of the company in which he held a significant ownership. Bondholders claimed a technical default had occurred and were weighing their options. At the same time, a management-led group sought to wrest control of the company from the chairman. MSG analyzed the competitive position of the company in the industry and its financial performance under the chairman’s leadership. We also evaluated alternative strategies for maintaining control. A publicly-traded developer and manufacturer of imaging equipment received an unsolicited takeover offer from a leveraged buyout group. The company’s Board of Directors retained MSG to function in an advisory role. The Board had retained a prominent investment bank, but also sought an independent opinion evaluating the alternative options available to the company. We performed an independent valuation of the company, developed different takeover defense strategies, and provided the Board with an analysis and critique of its investment banker’s advice.